Since December 2011, we have received numerous comments and made a few adjustments to the Plan. The Centretown Community Design Plan (CDP) is now available and can be downloaded in its entirety here (79.1 MB PDF). Alternatively, you can download it by chapter by using the bar on the right hand side. Thank you for your patience – it has been a fruitful process and the Study Team wants to thank you for your involvement during the creation of the CDP. As always, our contact at the City is Bob Spicer. Please note that the blog will no longer be accepting posts. All correspondence must go through the City of Ottawa. The CDP, along with the Secondary Plan OPA, will be presented to the Planning Committee on December 11, 2012. A big thank you to everyone who came out to our final community open house on June 29th. Also, another big thank you to the Museum of Nature for allowing us to use their beautiful new space! It was a perfect space for the session. If you couldn’t make it last night, the summary information panels presented at the session can be downloaded here (5.5 MB PDF). As a reminder, we are still accepting comments on the draft, so please provide them by July 15th. We will then revise the document over the summer. In the fall, it will be made available as part of the process to complete any necessary Official Plan Amendments / updates to the existing Secondary Plan. Please provide any comments in writing to Robert Spicer, Community Planning and Urban Design Division City of Ottawa. Hope everyone had a great Canada Day! Don’t miss your FINAL OPPORTUNITY to comment on the draft Mid-Centretown Community Plan. Our final Community Open House is scheduled for Wednesday June 29th at a terrific Centretown venue – the Museum of Nature! The session will run from 5:30 pm to 8:30 pm in the third floor Salon with a formal presentation at 6:30pm, followed by a question and answer period. The team will be on hand to answer any detailed questions that you might have on the draft report or to hear any final ideas for what should be included in the Plan. Be sure to have a look at the draft report (you can download it from the post below this one). We have had great events so far, so we hope you will help us make the final one a lively and fun session. Plus, it is a great opportunity to have a good snoop at the wonderfully restored and modernized Museum of Nature! Hope to see you this coming Wednesday! Update: We heard some of you were having a hard time downloading the full document, so we’ve broken it down into individual chapters. The links are at the bottom of this post. The team has completed the preliminary draft of the Mid-Centretown Community Design Plan. The full report has been posted on the blog for your review – we would love to hear your thoughts on the proposals for the future of Centretown. Please download the report and over the next couple of weeks share with us your thoughts, concerns or support for what you have read. We will review all feedback after June 13th, work to finalize the document, and then present the revised report back to the community at our final Open House on Wednesday June 29th at the Museum of Nature. Centretown is evolving. Let us know if you agree with the recommendations presented for how Centretown can be made even better than it is today! Download the report here or from the link on the sidebar to the right. Note that it’s a very large file (52 MB) so it may take some time to download. Here is a fun summary from our Blog Platform (Wordpress) on how we did over the last year with regard to postings and traffic. More than 5,100 people viewed the blog since May! As promised, the presentation that we gave and all of the information panels have been uploaded and are available here on the blog. Some files are very large, so please be patient when downloading. You can download these files either by using the “Project Downloads” sidebar on the right of this page (beneath the “Nov. 30 Open House” header), or by using the links at the bottom of this post. After a bumpy ride back, we are now settled in Toronto and reflecting on Tuesday’s session – we thought that it went great and really appreciated the thoughtful comments and time that people have given to this project. There was a full-house turn-out of about 80 people (impressive for a dark, rainy night). We were most impressed with the cross-section of interests represented at the meeting and the many points of view expressed. It inspired a great discussion. Of course not everyone agreed on everything, but I think that we all agreed that Centretown is a great place, that it can be even better, and that this process can help to deliver some of the positive changes needed (with effort on everyone’s part). We also wanted to apologize again for not having a fully accessible venue space for the event – that was a real shame and we were embarrassed about that oversight. We are already trying to secure a fully accessible event space for the third open house and think that you will be pretty excited with where we are planning to hold the next event. 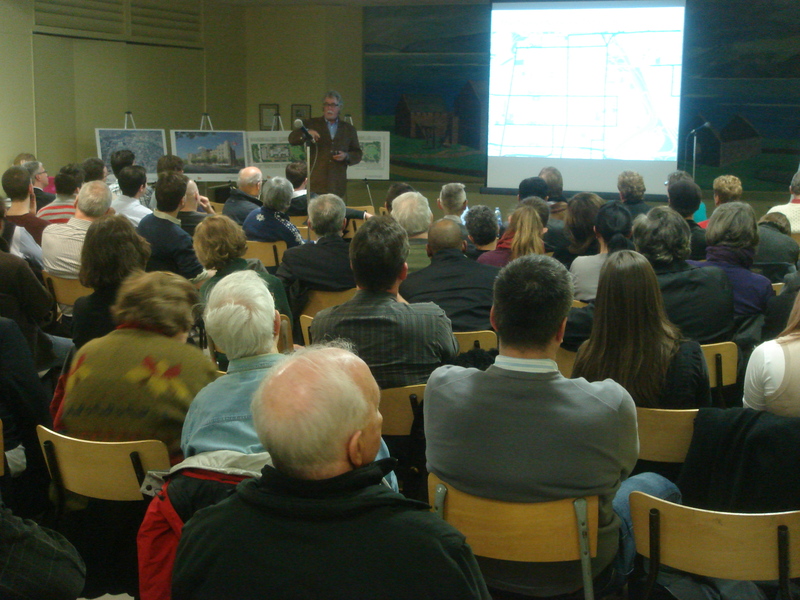 Again – thank you for your help in shaping this plan for Centretown. We hope you will continue to provide feedback on the ideas and projects presented. Feel free to spread the word and collect other people’s views on some of these ideas. 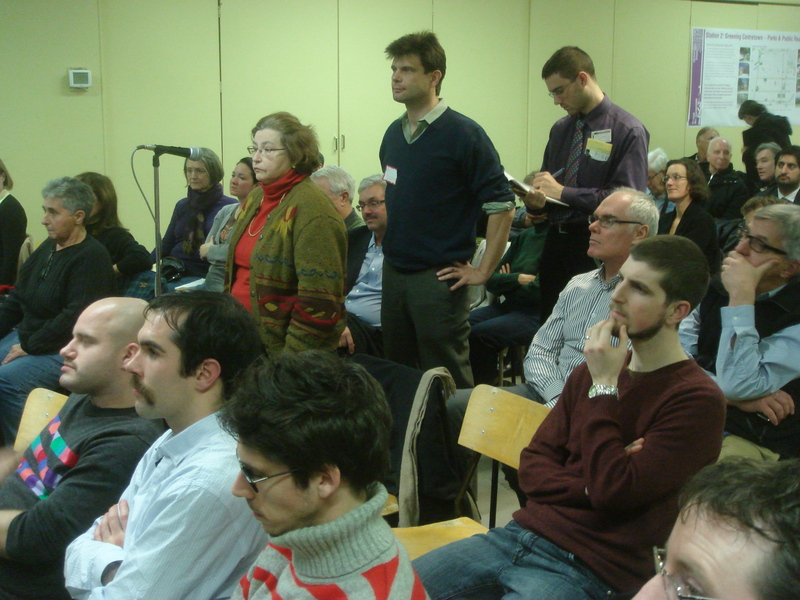 We also learned that some live-tweeting was going on at the event – great!! Click here to see current and recent tweets, and, if you’re a twitter user, use the #ccdp2011 hashtag to follow and participate in future twitter discussions. Let’s keep on getting the word out, collecting feedback on work already done and inspiring new ideas.